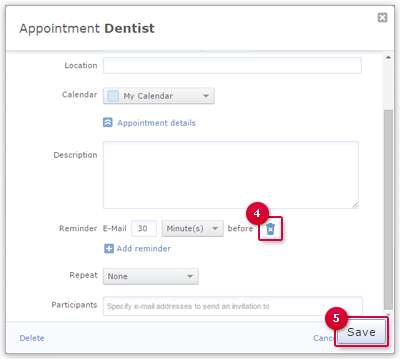 Disable the appointment reminder if you do not want to get reminded for a specific appointment. You can disable it even afterwards. 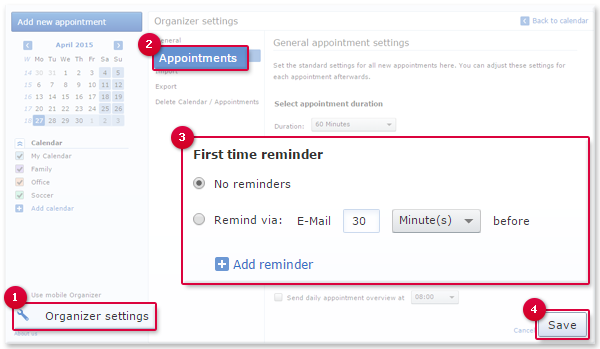 Reminders for future appointments are disabled by default. Click the appointment for which you want to delete the reminder. Click the "Delete" icon (trash). The reminder for the selected appointment is disabled.